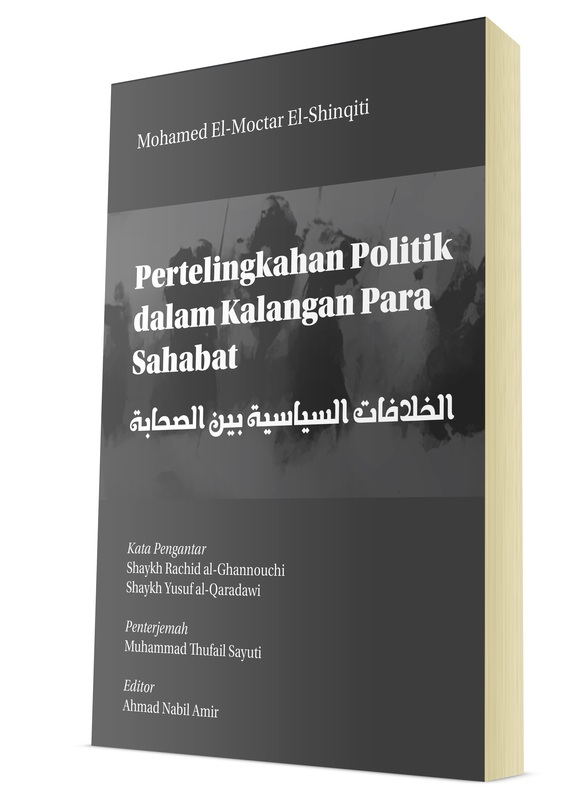 This book has been published for the first time in Arabic language about fifteen years ago, and then republished several times by several Arab publishers in Jeddah, Damascus, Cairo, Beirut and Algiers and etc. It won a very large readership, and got a wide interest and discussion from scholars, praising it and criticizing it, throughout the Islamic world. Since the appearance of the first edition of the book, however, I have the dream to have it translated into the major languages of the Muslim nations. After the Turkish translation of the book twelve years ago, I am living the fulfillment of the dream again today, with this translation of the book into Malay language, which is a great intellectual window to hundreds of millions of Muslims in Malaysia, Singapore, Indonesia, Brunai and other countries. I am very grateful to the Islamic Rainessance Front in Kuala Lumpur, Malaysia, in the person of its founder and director Dr. Ahmad Farouk Musa, as well his colleagues in the Front, for publishing the book. I am also very grateful to the translator Muhammad Thufail Sayuti, and the editor Ahmad Nabil Amir, for the great intellectual effort they put in this work. 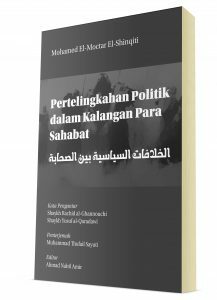 Developing a coherent methodological approach to study the political upheavals in early Islam, as a key to understand Islamic political history. Rebuilding the historical memories of that foundational period of Islam unapologetically, based on a solid ground of scholarly historical research. Helping Muslim readers comprehend the historical genesis of the current political crisis in the Islamic world, and the living past that is still nourishing this crisis today. As I have been repeating in my published works, the crisis of the Islamic civilization is, at the heart, a crisis of political legitimacy, and the roots of this crisis are to be traced back to the political clashes between the companions of the Prophet (Peace be upon him) in the first century of the Islamic era. Without rebuilding the historical memory of those bloody events that erupted in early Islam, the painful political crisis of Islamic civilization will continue without solution. As one of my history Professors used to say: "to create a new future, we have to create a new past," this book is another way of 'creating a new past', not by manipulating the historical events of early Islam, but by presenting them unapologetically, and in a more lively light. In early 2018, I publish my new book, The Constitutional Crisis of Islamic Civilization, in which I built on the results of this book, and through which I expand the ideas developed here to their logical ends. What has been in this book mere intellectual seeds and methodological suggestions, havabeen developed in my new book on The Constitutional Crisis of Islamic Civilization into a full-fledged project with ripe fruits. 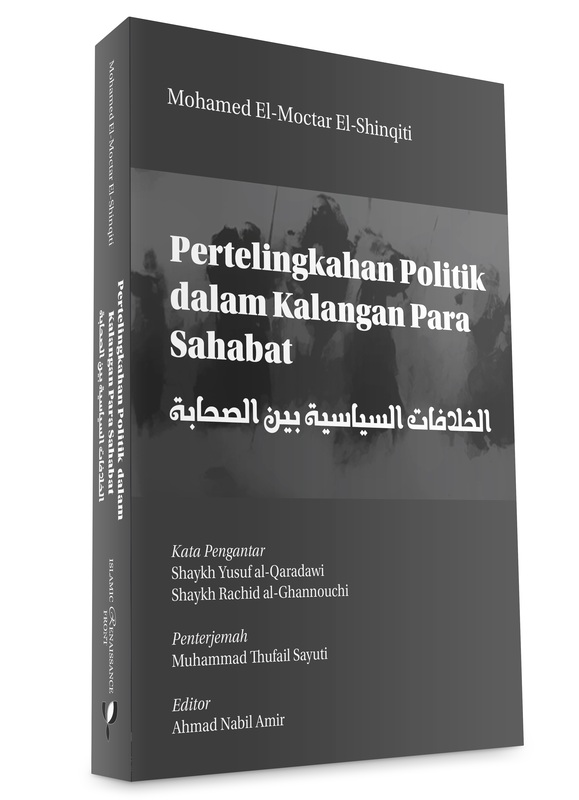 I hope my book on The Constitutional Crisis of Islamic Civilization will also find its way one day into the beautiful Malay language, so my brothers and sisters in the Malay speaking world can read it and react to it. And all praises are due to Allah, through His help good deeds are done. Mohamed El-Moctar El-Shinqiti is Associate Professor of Political Ethics and History of Religion at Hamad Bin Khalifa University, Doha, Qatar. His academic interests include Islamic political thought and ethics; religious reform and sectarian history of Muslim societies. He holds a PhD in the history of religion from Texas Tech University, USA on “The Crusades’ Impact on Sunni-Shi’a Relations” and currently teaches history of religion and philosophy of religion at the Qatar Faculty of Islamic Studies (QFIS), Hamad Bin Khalifa University, Doha, Qatar. Mohamed previously taught Qur’anic exegesis (tafsir) and Arabic grammar at Al-Iman University, Yemen; Arabic literature at the American Open University in Virginia, USA; and world religions at Qatar University. Most of his books and articles have been translated and published in Turkish language; some have been translated into Albanian, Bosnian and Persian; and some are currently being translated into Kurdish. Mohamed is a regular contributor to Al-Jazeera TV channel and its website, where he has published over 400 analytical articles in Arabic and English. He has also participated in several regional and international conferences.